The name La Folia means “folly” or “madness”. It refers to a dance in 3/4 time that originated in the late 15th century. It was originally a quick paced noisy dance in which the dancers carried men, dressed as women, on their shoulders. There were many different basic themes and there was not one single fundamental melody that dominated the rest for these so called ‘early’ Folia. These Folias became very popular in Spain and Italy. 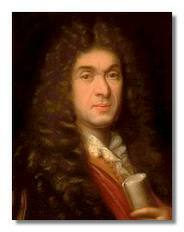 In the late 1600’s, the rhythm and melody were adapted into a kind of solemn passacaglia (Jean-Baptiste Lully, “Air des Hautbois”, 1672, see below) and it gained more popularity, particularly in higher society. This is known as the “later Folia”. It has been transcribed for virtually every instrument and has been used by more than 150 composers since then. •	the main musical distinction is the rhythmic structure, (the early Folia has its opening accent on the dominant -V chord, the later Folia has it on the tonic -I chord). •	The early folia may use a major or minor tonic chord or mix them within a single statement, the later folia uses a minor tonic chord. •	The accents in rhythm in the early folia (with its fast tempo) are caused by chord changes in the second beat, while in the later folia there are hardly any chord-changes within a bar (except for bar 15), so the accent is caused by dotted 2nd beats of melody, especially in odd-numbered measures. The later Folia is a relatively simple melody of 16 bars with a standard chord progression. It has a stately slow rhythm with the 2nd beat of the melody is lengthened (similar to a sarabande). It also has a repeating ground bass, similar to a passacaglia. One can also look at it as a chord progression (repeating harmonic and rhythmic pattern), similar to the 12 bar blues scheme. It is a perfect model to improvise upon and to write variations for. The ‘later’ Folia chord progression is already detectable in the Fitzwilliam Virginal Book (~1618) as part of an anonymous tune called Pakington’s Pownde. This entry was posted in Classical Guitar History and tagged classical guitar, folia, folia d'spana, kritzer method, musicianship. Bookmark the permalink. "...an intelligent and self-assured musician with a sure technique and a musical sensitivity...he created an inner life in his playing of Bach." All Classical's Thursdays@3 Join Scott Kritzer for his fourth live radio broadcast on All Classical Portland’s Thursday’s@3 show featuring Scott and the NW Piano Trio - Thursday, January 17th 2019 @ 3 pm. FREE ADMISSION If you’d like to be part of the live studio audience go to the link above, choose the January 17th program, and reserve your tickets! For questions or more information please call 503-943-5828. You can also listen live by going to and click on the LISTEN button. Western Washington University, Bellingham Classical Guitar Technique Workshop - January 23-25th, 2019. Scott Kritzer will be working with Student Teachers at WWU who have been teaching his Primary Skills Development to the WWU Guitar Department, under the direction of Professor David Feingold. Oregon State University Guitar Department Presents - Concert Tuesday, February 12th, 2019 at 7:30 pm - FREE ADMISSION. Oregon State University, 1650 SW Pioneer Place, Corvallis, Oregon, Community Hall 303. Master Class Wednesday, February 13th, 2019 at 6:00 pm - FREE ADMISSION. Oregon State University, 1650 SW Pioneer Place, Corvallis, Oregon, Community Hall 204. Master Class - Sunday, February 17th, 2019 at 10:00 am - FREE ADMISSION. Portland State University Lincoln Hall Room 303. Welcome to my site exploring the mystery of mastering this wonderful instrument, the classical guitar. 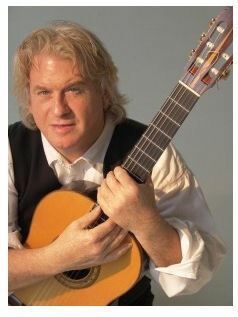 Scott Kritzer is a professional classical guitar artist, performer, teacher, and creator of a systematic guitar training method for players of every level. Kritzer and his students' share their experiences and expertise here. Classes, workshops, and conferences are available online and in person in the Portland, Oregon, area and through traveling programs and workshops across North America. Re: Will there be ensembles this year?